Fill out an Application Form and pay Application Fee ($100). Applications from non-Catholic families are welcomed as the College values its rich, religious and cultural diversity. Click here to download the Enrolment Application Form. Applications are reviewed three years before the proposed date of entry. The Principal makes the first round of offers during Term 1 when your daughter is in Year 4, based on the paperwork submitted in the application. Ensure supporting documentation is current, correct and comprehensive. The Principal may make offers at other times, at his discretion. To accept the offer, the Acceptance Form and non-refundable Fee ($500) is returned. 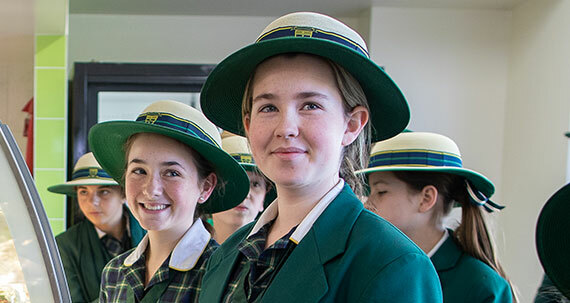 You are now part of the Brigidine Community and will receive updates and information on College life. A Welcome Interview may be conducted when your daughter is in Year 5 as part of the transition to high school process. The formal Orientation Process begins the year prior to your daughter’s commencement. This includes practical information (eg, uniform, transport, etc) and invitations to join some Cocurricular activities. The Commitment Fee ($750) is payable during orientation. This fee is fully refundable via the first term fees. If, for any reason, the student does not commence at the College, the Commitment Fee is non-refundable. Make an enrolment application. Current Application Fee is $100*. Offers of places are usually made by April (or subsequently at the Principal’s discretion). A Confirmation Fee of $500* is paid to accept the offer of a place at Brigidine College. Welcome activities which may include an interview are hosted by the College. 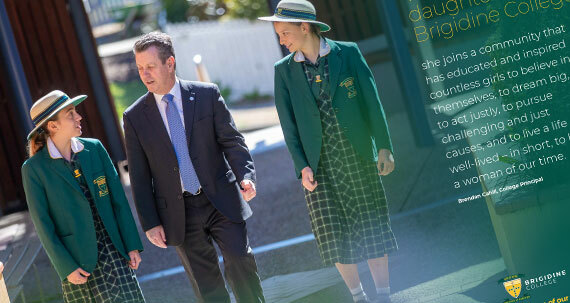 Invitations are extended to various Brigidine community events – Open Day Twilight Evening. The formal Orientation Process begins with a variety of events to ensure each girl has a smooth transition to high school. Invitation to Open Day, Twilight Evening. In Term 3, a $750* Commitment Fee is paid. Your daughter is now ready for Day 1 of Year 7. These steps aim to make your daughter’s transition to high school manageable, informative and exciting. We look forward to you joining us on the journey. * All fees are current as of 1 January 2018 and are non-refundable. Receipt of payments is acknowledged by email only. Applications are currently being accepted for YEAR 7 2020, 2021 and 2022. Applications for Years 8-12 are subject to vacancies. Contact the College Registrar. 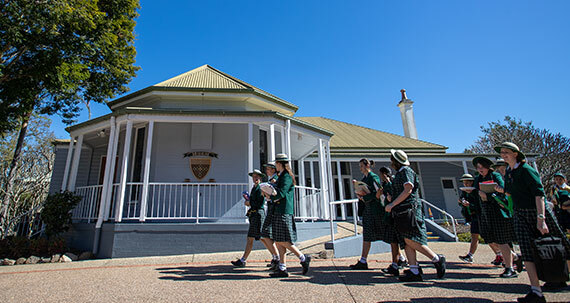 Due to an increase in demand, the College now accepts enrolment applications when girls are in the early primary years. Families of current students, who have younger daughters, are reminded to enrol early to avoid disappointment. Any application to re-enrol a student who has previously left the College will be treated as a new enrolment. The same procedure and fees of Application ($100), Confirmation ($500) and Commitment ($750) still apply.